Turahn Jenkins (D-Churchill) launched his candidacy for Allegheny County District Attorney on Monday, July 2, 2018. Former public defender Turahn Jenkins of Churchill will run against Allegheny County District Attorney Stephen Zappala in 2019, when the 20-year Democratic incumbent is up for reelection. A Democrat, Jenkins announced his candidacy to scores of people who filled a rainy Freedom Corner in the Hill District early Monday evening. The announcement comes nearly two weeks after East Pittsburgh police officer Michael Rosfeld shot and killed black teenager Antwon Rose, Jr. Rosfeld, who is white, fired at Rose as a he fled a vehicle suspected of being involved in an earlier shooting. Rose was unarmed. 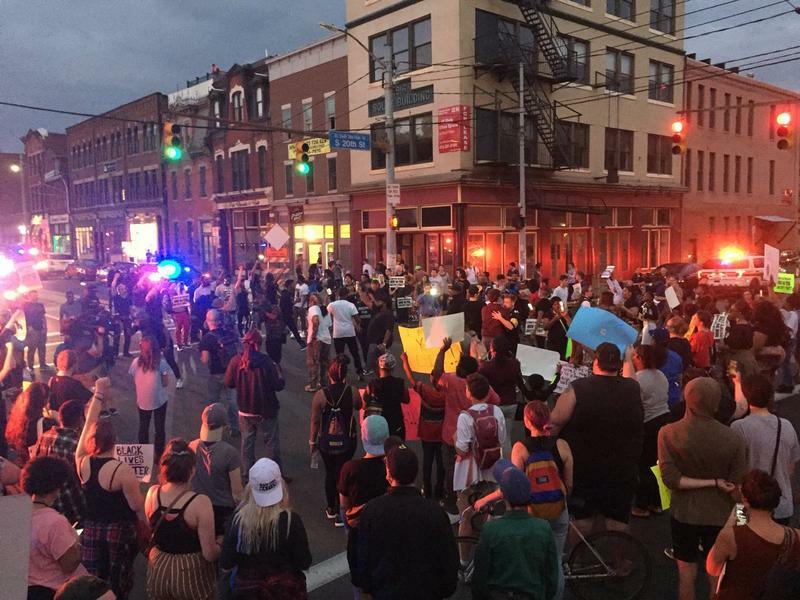 The teen’s death sparked days of protests, with activists repeatedly calling for Allegheny County District Attorney Stephen Zappala to be voted out of office. They continued those calls Monday, even though Zappala charged Rosfeld with criminal homicide last week. Jenkins, 40, said that he decided to run weeks before Rose’s death. As DA, Jenkins said he would work to end mass incarceration, reform cash bail and rehabilitate defendants struggling with substance abuse. Jenkins served as chief deputy director in the Allegheny County Public Defender's Office until resigning Monday. Prosecutors, he said, have the greatest power to reform the criminal justice system through their discretion in setting law enforcement priorities and charging suspects. “They essentially control the criminal justice system,” Jenkins said, following his remarks to the crowd. Jenkins earned his law degree from Duquesne School of Law, where he has also served as an adjunct professor. Originally from Monroeville and a graduate of Gateway High School, Jenkins worked as an assistant district attorney in Allegheny County from 2006 to 2008. 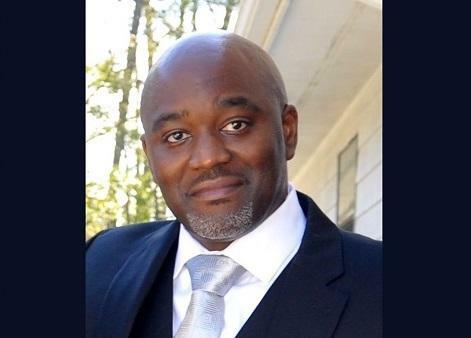 He ran his own practice, specializing in criminal defense, before joining the public defender’s office in 2013. Jenkins’ kicked off his campaign less than a year after another former criminal defense lawyer, Larry Krasner, won his bid to become district attorney in Philadelphia. Zappala was appointed in 1998 and has since been elected to the post five times. Jenkins supported Zappala's decision to charge Rosfeld for the killing of Antwon Rose, but said he would have been quicker to bring charges. It’s Pennsylvania’s first Fourth of July with legal commercial grade fireworks, and the City of Pittsburgh is warning consumers of the dangers they bring. The state eased restrictions on types of fireworks available for purchase last fall when legislators repealed the Fireworks Act. 90.5 WESA's "The Confluence" for Friday, June 29, 2018. Ten days ago, on June 19, East Pittsburgh police officer Michael Rosfeld pulled over a car he suspected was connected to an earlier drive-by shooting. Two of the car's occupants fled the vehicle, and Rosfeld opened fire, killing 17-year-old Antwon Rose Jr.